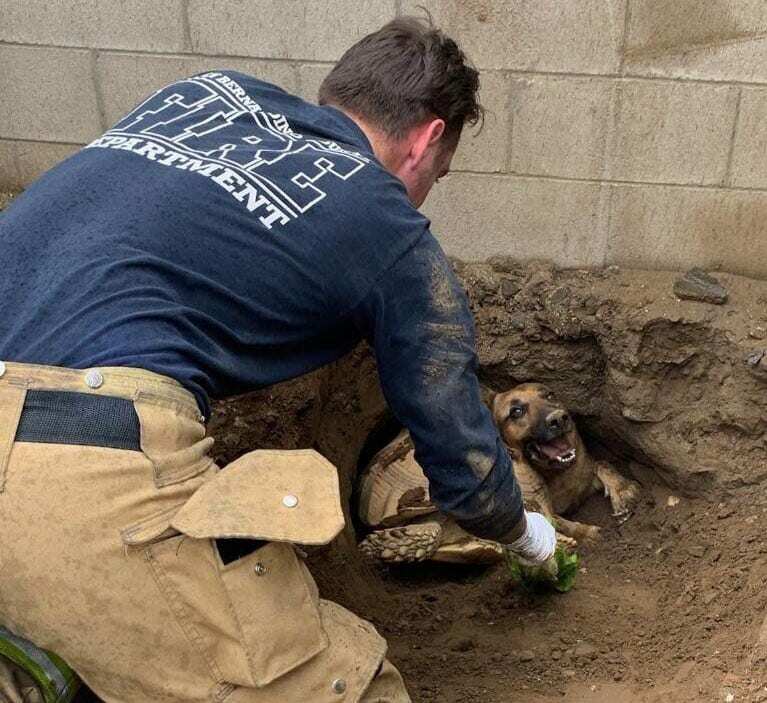 In February 2019, the San Bernardino Fire Department received a strange call about a German Shepherd who was stuck in a tunnel in her backyard. To the firefighters’ surprise, they learned the German Shepherd was trapped behind an 80-pound tortoise. The German Shepherd’s family, the Arballos, tried their hardest to free the dog. But the family’s tortoise wouldn’t budge. One of the dog’s owners, Simon Arballo, dove into the tunnel and tried to pull out the tortoise, but the animal was too heavy. The tortoise refused to move an inch. Firefighters rushed to the house, hoping everyone was alright. 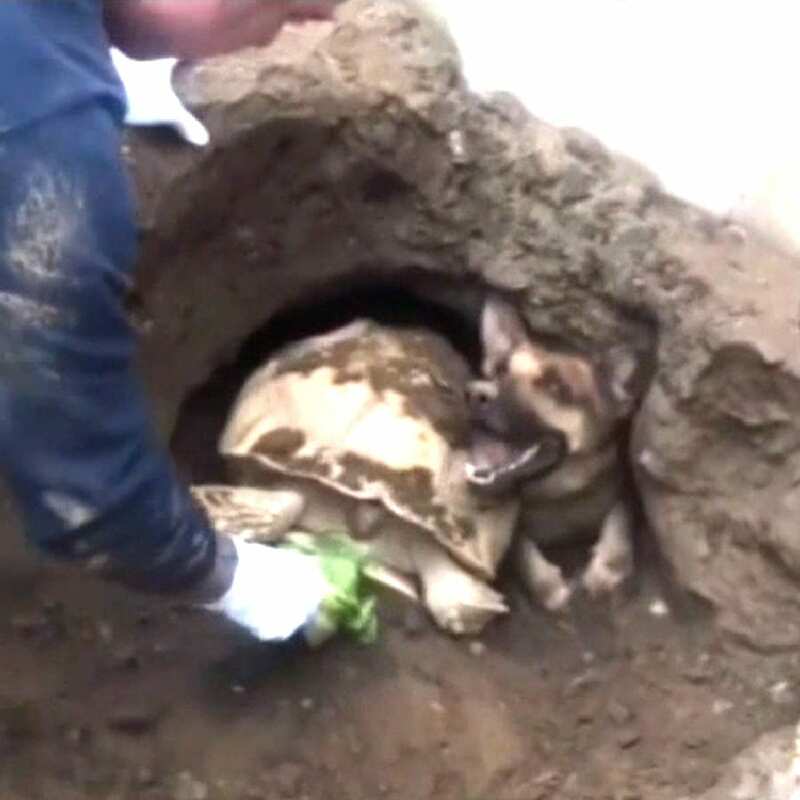 When the firefighters arrived at the house in Fontana, California, they learned more about how the dog and tortoise had gotten stuck. 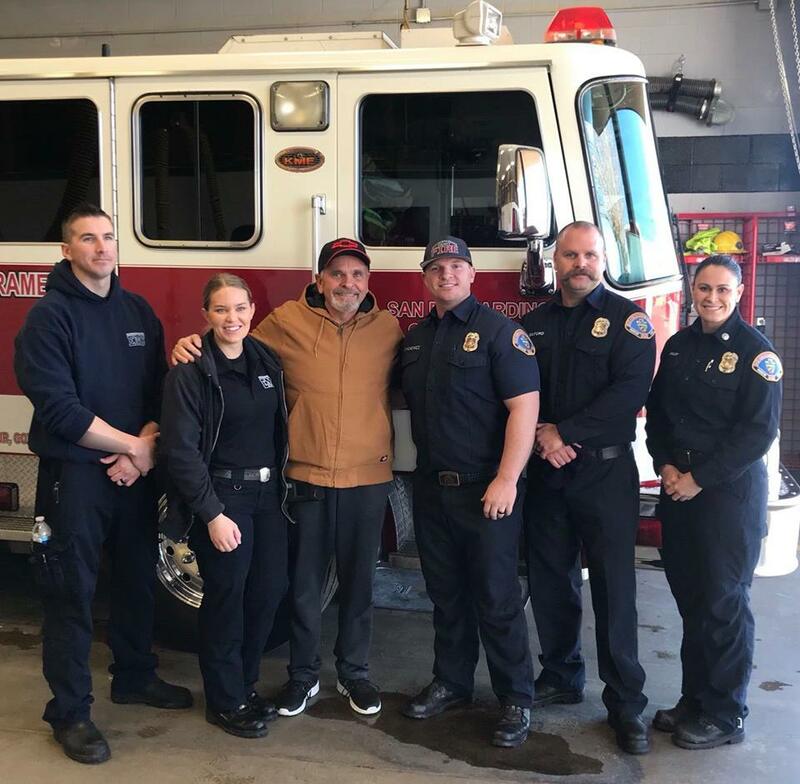 The firefighters learned the dog’s name was Taylor and the tortoise was Godzilla. The tortoise had dug the tunnel underneath the cinderblock wall separating the Arballo’s backyard from their neighbor’s house. The pup had decided she wanted to explore the tunnel, and normally, she would have been able to get out with no problem. But this time, Godzilla crawled into the hole while Taylor was still inside, blocking her from getting out. “It appears that the dog had brought a blanket into the tunnel resulting in the dog, blanket, and tortoise becoming wedged and entangled,” Captain Jeremy Kern wrote on Facebook. 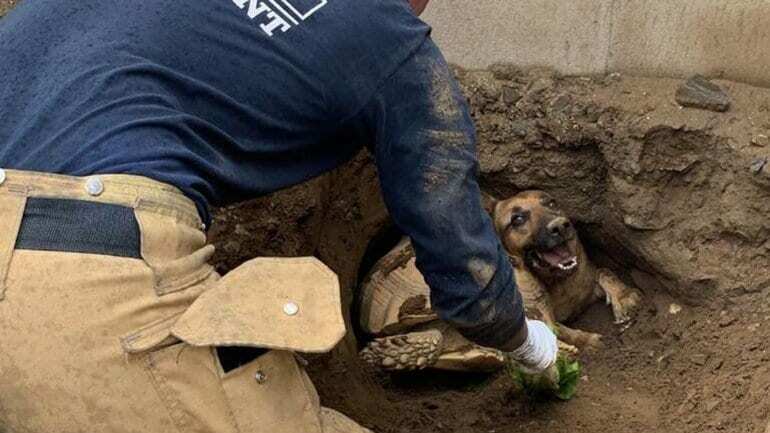 When the firefighters got to the house, they saw that the dog and the tortoise were wedged about six feet into the tunnel. The firefighters used some tools to remove the dirt from the edges of the tunnel. Then, they used lettuce and carrots to slowly coax the tortoise out. After that, they were finally able to pull the dog out. Thankfully, both animals were completely fine! 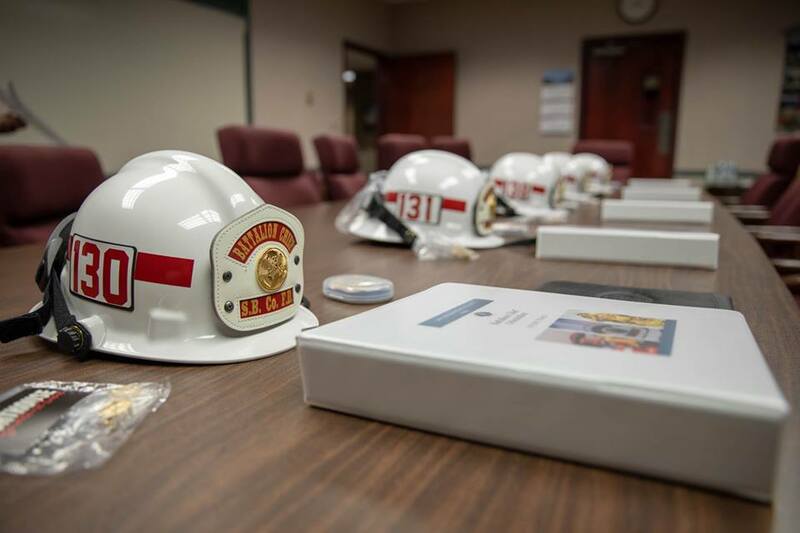 “In about 10 minutes firefighters were able to un-wedge the animals and extract them out of the tunnel. 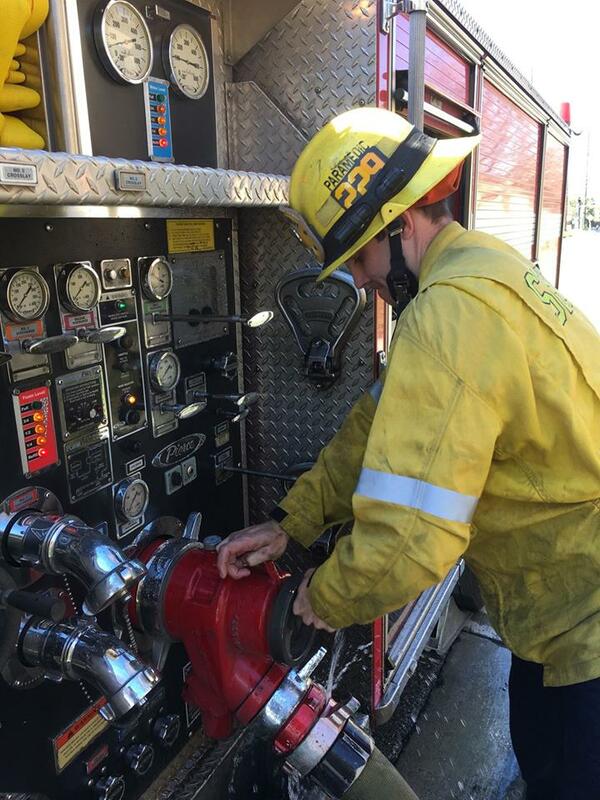 Pictured you can see the end result with both Taylor squeezing by as Godzilla crawls towards the lettuce held by our firefighter,” Kern said. 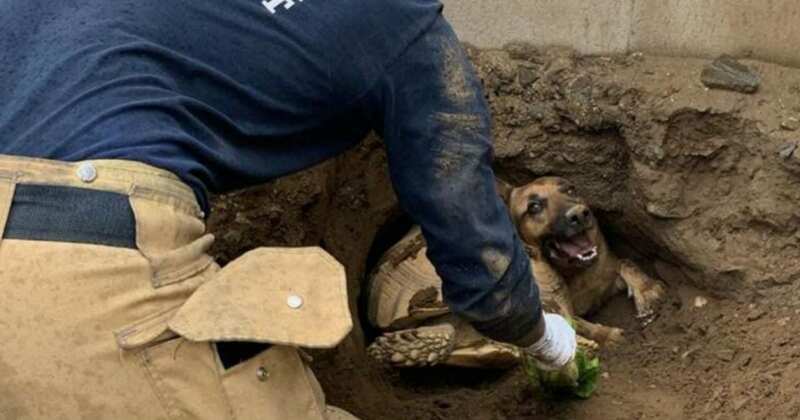 The firefighters posted a photo of the dramatic dog and tortoise rescue on their Facebook and Twitter pages. 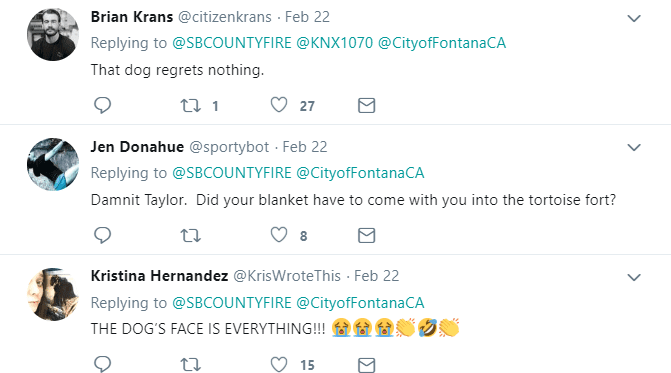 People were glad that the animals were alright, and they loved Taylor’s facial expression in the photos. Taylor and her family were very worried when their pup got stuck in the tunnel, but thankfully they were able to get her out in the end. We’re sure Taylor will be avoiding Godzilla’s tunnels from now on!